Rotor Riot announces the world’s first wired controller approved by Apple for iOS and USB-C devices that supports L3/R3 fire buttons on the joysticks. A full size, fully functioning controller for mobile use. It is hard wired to your iOS device to ensure low latency and a guaranteed connection. The Rotor Riot Game Controller is the only MFi iOS game controller that has L3/R3 triggers. Download Ludu Mapp for access to over 1,000 games and apps. This full featured gaming and drone controller comes at a door busting price of only $49.99. The controller is compatible with all iOS devices with a Lightning connection running iOS 7 or greater. We are simultaneously launching a version for USB-C connected devices for the same retail price of $49.99. Rotor Riot controllers will be available at Best Buy, Amazon and in the Rotor Riot Store. 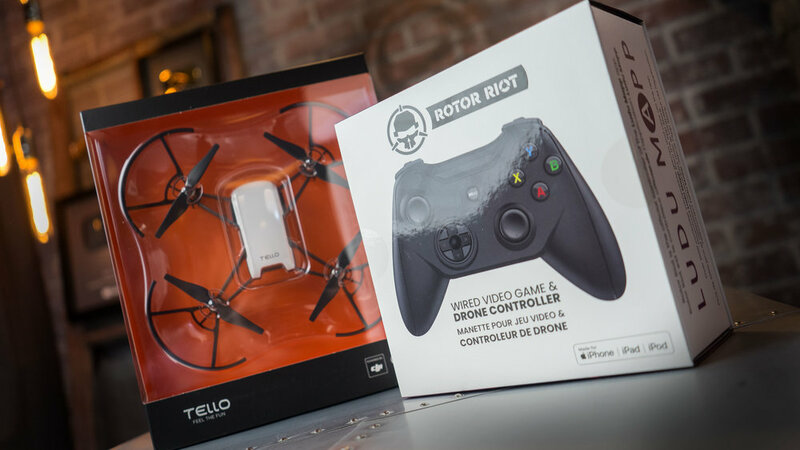 Some of the drones compatible with the Rotor Riot Game and Drone Controller.